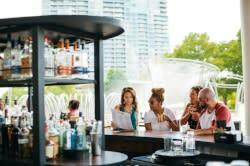 If you&apos;re a foodie (and foodies from all over have been flocking to Columbus lately) you&apos;re always on the prowl for the finest ingredients. The Oilerie , on Grandview Avenue in Grandview Heights, has recently opened its doors and turned the city on to a better way to buy olive oil. 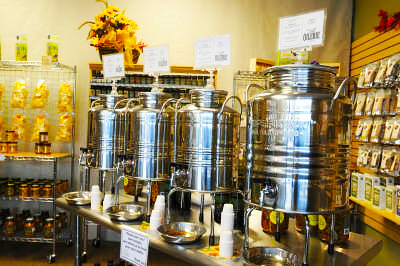 The Oilerie imports all of its 23 varieties of extra virgin, cold pressed olive oil from Italy. The cool thing about The Oilerie experience is that you get to taste as much as you like. I developed a pretty good palate over the course of a 10-minute tasting spree. Oils range from the buttery Fior Fiore to the spicy Primaolo, and include a nice range of flavored oils and nut oils. 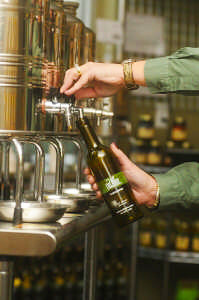 Not to be missed are the array of vinegars (the 25-year-old balsamic is a standout) and other olive-based products. After the tasting, I decided on a bottle of the primaolo - it had a nice spice and a beautiful green color, and it&apos;ll be nice as a finishing oil and in salad dressings. Each product is stored in a stainless steel container, which prevents the oil from being damaged by sunlight. Once you pick your purchase, the shopkeeper decants it for you into a green glass bottle, which, likewise, prevents sun damage. You should keep the bottle away from heat, because that also can degrade the quality of your oil. Have you checked out The Oilerie yet?